The Men of Heritage Oaks (MHO) are in search of the best BBQ in Central Texas. Using a Texas Monthly article, they are eating their way down the list. All are invited. Everyone is invited by getting on the e-mail list. BINGO is played once a month and is scheduled for the third Thursday evening of the month, unless a notice is posted otherwise. This version is classified as “Senior Bingo” and all players must be 60 years of age or older and reside in Heritage Oaks. All proceeds are paid as winnings. When: Third Thursday Eveningof the Month – 6 p.m.
A chance to practice the game of bridge and learn from mentors, and bridge books by playing and discussing hands. When: Monday at 10:00 a.m.
Seasoned bridge players join fellow players for a fun morning. All members may sign up and are asked to bring an appetizer or dessert to share. Cost is $5.00 per person. When: Third Saturday at 6:30 p.m.
Heritage Oaks ladies meet at 5 p.m. and end around 9:30 p.m. the first Monday of every month to dine at an area restaurant for dinner. Afterwards, the ladies divide into groups to attend the movie of their choice at a local theater. All members of Heritage Oaks are invited to join the Community Chorus. Members meet to sing old favorites and three and four part songs for pleasure and possible performance. All residents of Heritage Oaks are invited to become part of a dinner group. Small groups of 6-10 people meet monthly or every other month for dinner either at homes in the neighborhood or in restaurants. Dates and times will be determined by the groups, as well as how casual or formal they want the meal to be. The MHO are proud to present speakers from the Georgetown Community on the first Wednesday of each month. These local expert speakers generally present subjects of interest affecting the residents of HO. These programs are presented free-of-charge as a community service of the Men of Heritage Oaks. The national game of Texas is a bidding-type domino called “42”. It is similar to bridge, spades, or pinochle. “Shoot the Moon” and “84” are also played. When: Wednesdays at 1:30 p.m. Residents bring their favorite beverage and a snack for a fun happy hour together. When: Fourth Tuesday from 5:30 to 7:30 p.m. This club involves quilting, needlepoint, knitting, crocheting, cross-stitching, embroidery, and simple cutting and sewing projects. Special interest subgroups work on personal and charity projects. The HOGGs play golf every week, weather permitting and generally stop for a BBQ or burger lunch after. 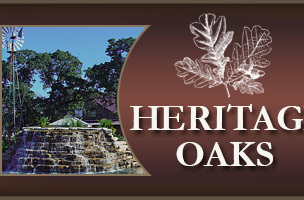 All Heritage Oaks golfers are invited to join the group by providing their e-mail address. HO ladies meet for conversation and coffee. When: Second Tuesday at 10:00 a.m. The Clubhouse includes a lending library free to all residents with no restriction on the number of books or length of time. Included are paperbacks, hardbacks, CD's, DVD, etc. Seasoned players and those who want to learn are invited. When: Mondays at 1:30 p.m. The Men of Heritage Oaks meet for wide-ranging conversations on a multitude of subjects, serious and humorous. Among our retirees, there is usually an expert on hand for nearly every topic. This is an informal group which meets approximately once a month to discuss issues of interest to residents, primarily related to electronic subjects; such as cell phones and cell phone reception, cable TV issues, laptop computers, digital photography, etc. All Heritage Oaks poker players are invited to join every other Wednesday night at the HO Clubhouse. A variety of poker games are played. All Heritage Oaks residents are invited to play "Dealer's Choice" poker. The games are friendly and "the cards speak for themselves." 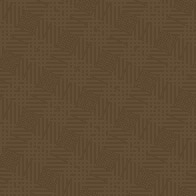 New games are welcome. When: Fridays from 12:00 - 3:00 p.m.
Ponytail Canasta is a variation of the original Canasta from the 1950’s. Beginners are welcome. When: Tuesdays at 1:30 p.m. Interested riders should meet at the Clubhouse with bike, helmet and other appropriate gear. Tuesday is a gentle ride around Heritage Oaks. Thursday is a more strenuous ride to selected locations. . When: Tuesday and Thursday at 8:00 a.m. in the spring and summer months and 9:00 a.m. in the fall and winter months. They also ride on Sundays at 8:30. This is a very relaxed and forgiving form of Scrabble for those who just enjoy playing the game. New and experienced stampers meet to create personal greeting cards and other printed items. When: Third Tuesday at 10:00 a.m. Meets monthly for social dinner at an area restaurant followed by coffee, dessert and conversations at a member’s home. When: Meets Third Sunday at 4:00 p.m.
All the Women of Heritage Oaks are invited to an event that includes a shopping outing, museum tour, movie, meal, or party. Times vary depending on the program. A YOGAFIT-Certified Instructor leads a restorative yoga class which is geared to both men and women. No prior yoga experience is needed. The hour-long class focuses on improving flexibility and balance. Additional benefits of the class include improved posture, increased energy, and stress reduction. The first class is free and mats are provided. Cost is $ 5.00.